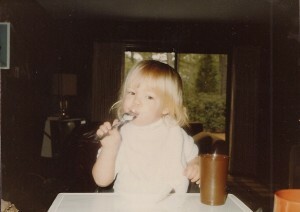 If you read my bio, then you now know I’ve had an intense appreciation for all things food since a young age. To give you the dirty details, I was rewarded year after year with my very own Peanut Butter Pie (yes the entire pie) from John’s Barbecue in North Carolina for bringing home a good report card as a pre-teen. I gorged on homemade oatmeal-chocolate-chip cookie dough every summer at my Dad’s house in Middle School, until I wanted to make the Cheerleading Squad. 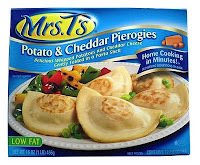 I ate a daily average of 4 Mrs. T’s frozen pierogies topped with mounds of sour cream everyday after High School for a snack, while I watched Oprah with my 5 year old brother. College was no exception….I mean buffets for every meal?? 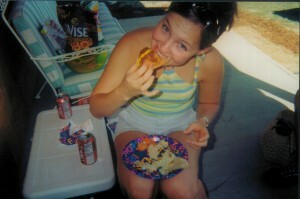 Come on….it’s no wonder I gained the Freshman 15. Papa John’s Pizza never sounded better than at 2am after a long night of chugging Natty Ice. 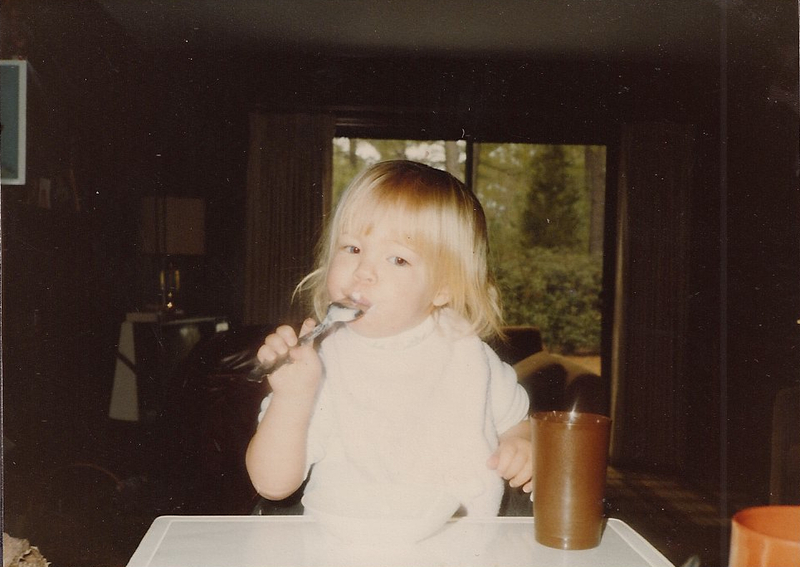 As an adult, my appreciation for food has only gotten stronger….healthier and stronger. I mean who wants to look bloated and feel sluggish the rest of their lives, right? So I changed my eating habits, and the way I look at food without sacrificing taste and without ignoring my demon-like cravings. It really changed when I started living on my own in my early 20′s and was determined to drop that college weight by cooking healthy meals at home. I was on a major budget but still wanted to enjoy food and flavor; because to me, eating is one of the greatest joys in life. I learned portion control, balance and to look at food as fuel…tasty fuel. Over an 8 year period, I also worked at several of Los Angeles’ top restaurants and sort of became a “foodie.” Not the snobby kind of “foodie”, but the kind where I now know the meaning of more words on a menu and am not afraid to try foie gras. And then I got my dream job hosting a national food & travel show called America’s Best Bites on Cooking Channel where I learned even more and had the opportunity to cook and eat with some of the most popular chef’s across the county. All of that lead to my love affair with cooking…but NOT with recipes. Now don’t get me wrong, I follow the occasional recipe when I have a ton of time on my hands and plan ahead, but most of the time my hunger comes on QUICK and strong and I need to EAT!!! I don’t have the time or energy to go to the grocery store and pick up the remaining ingredients my kitchen lacks. And in L.A. traffic you might as well order-in if you forgot something. I have to use what is already in my fridge and cabinets to create something tasty, satisfying and nutritious. Hence, why my husbands calls me….The Food Magician.